Tammy Meneghini of Goddess Here Productions contacted me through a recommendation. She was frantic- her normal graphic designer was too busy to complete some ads that Tammy needed by the end of the week. Happily, I had the time to fill in and finish creating these fun and stylish ads for her performance at the United Solo Festival. 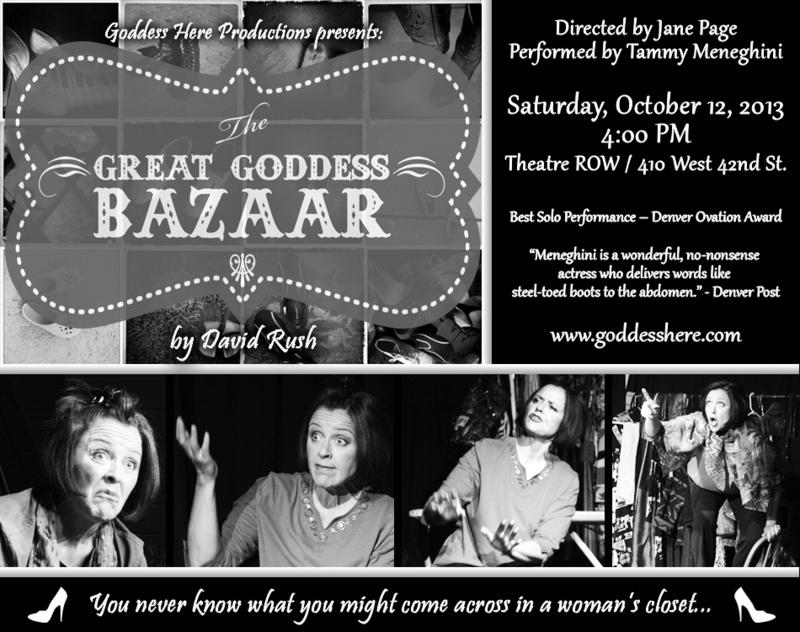 (Full disclosure- the Great Goddess Bazaar logo and shoe image were already created by the previous designer. My work on this included layout, typography selection, and image selection.) I’m currently working on a version of the web banner to grace the top of the Goddess Here website. Big thanks to Tammy for the opportunity and best of luck to her at the festival! This half page ad will be featured in the festival guide book.